Water Pressure: 0.5 - 7.0 KGS/cm, 10-125 psi. Reduces the transfer of germs by preventing cross-contamination and re-contamination of germs and bacteria by not touching the faucets or handles.Cut down on water usage by minimizing waste of water while soaping, lathering, scrubbing and drying hands by eliminating unnecessary and unattended water flow. Advanced energy saving design for long lasting battery life. Good pressure and good flow. 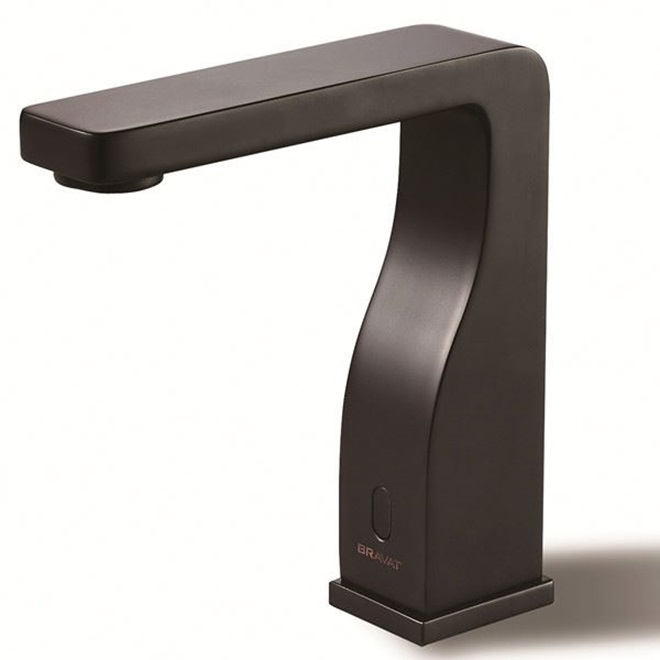 This Bravat Oil Rubbed Bronze Automatic Sensor Faucet is definitely worth having. I love the beautiful finish and it never fades! The faucet looks really nice and all, but I think the sensor would be the best part of this faucet. It worked perfectly right out of the box. There were no adjustments necessary and it worked well the first time we tried it. There was an issue with the shipping and our order arrived two days late than expected but I think the wait was worth it. We bought 3 of these sensor faucets to install in all our bathrooms. The delivery was pretty quick, but the installation took longer than we expected. Two of them worked perfectly from the beginning, but the third one had a long delay before sensing the presence of hands and turning the water on. We called to ask for a replacement, but in the end it turned out the plumber just needed to make some adjustments â€“ perhaps they could make the instructions more clear? Anyway, we are happy they work OK now. Our bar could really use some makeover, so we went ahead and had the bar, the kitchen and the comfort rooms done, and in the CR we decided to have these installed. I really think we made a good decision with this one, since a lot of people actually commend us for it. Not only does it look great, it also works perfectly. The sensors are excellent they say, no need to wave your hand a couple times to activate the faucet. Great product I should say.